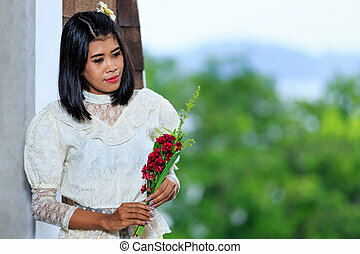 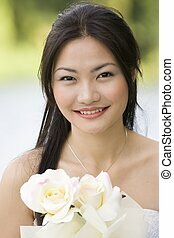 Asian women in white #5. 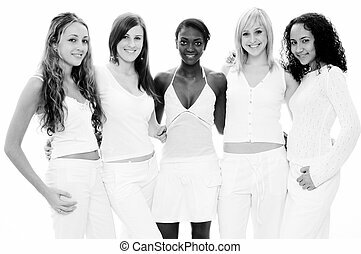 Five beautiful asian women in white on white. 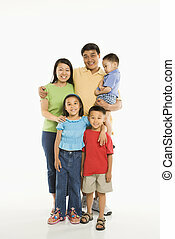 Asian parents with three children standing in front of white background.